Cisco continues to dominate networking infrastructure market in Australia, holding more than 50 per cent share across ethernet, router and wireless local area network (WLAN) markets. According to newly released IDC findings, the tech giant takes home the lion’s share of an expanding market locally, ahead of competitors Hewlett Packard Enterprise, Dell, Huawei and Juniper Networks among others. Specific to the ethernet switches, Cisco leads the way with 66 per cent of the market, followed by HPE (7.5 per cent), Juniper Networks (3.7 per cent), Arista (3.6 per cent) and Dell (2.5 per cent) during the first quarter of 2018. Collectively, the Australian enterprise - including data centres - and service provider segments grew by 12.4 per cent year-on0year, generating revenues of US$122.4 million in the process. IDC research highlights that the market experienced an increase in shipment of high-speed ports (i.e. 25 Gigabits per second (Gbps), 50Gbps and 100Gbps), with revenue coming from the enterprise space increasing by 15 per cent, despite stagnant service provider growth. Most of the revenue generated in the service provider landscape was from shipments of 25Gbps and 100Gbps speed ports. “Good year-on-year growth experienced by the networking infrastructure market in Australia is indicative of the fact that this year may prove to be a promising year for the networking vendors,” observed Ahmar Karimullah, market analyst at IDC Australia. “Australians continue to adopt technology at a good pace thus generating increased data traffic. Delving deeper, the router market also showed strong year-on-year revenue growth of 25.5 per cent, ended at US$78.67 million during the first quarter. 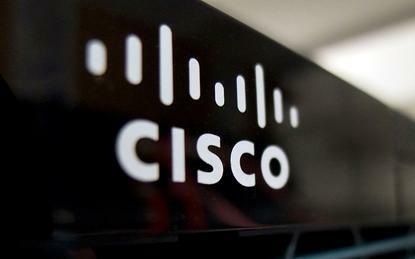 From a vendor perspective, Cisco held a market share of 70.8 per cent, followed by Juniper Networks (14.2 per cent), Nokia (7.8 per cent), Huawei (4.7 per cent) and Ericsson (1.5 per cent). Maintaining the trend, Cisco also dominates the WLAN market locally, with 58.3 per cent of the market, ahead of HPE (15.4 per cent), Riverbed (6.8 per cent), ARRIS Networks (5.14 per cent) and D-Link (2.5 per cent). Although small in comparison to the ethernet switch and router markets, the Australian WLAN market “made its mark” by generating US$ 33.32 million in revenue experiencing growth of 19.1 per cent year-on-year. According to IDC, 88 per cent of the total units shipped were 802.11ac access points (latest wi-fi standard which provides connectivity up to one Gbps).